Summary: We’ve added a Livestream Option for the Get In Rhythm. Stay In Rhythm.™ Atrial Fibrillation Patient Conference so you can watch 16 hours of content from the world’s top afib experts from the comfort of your home. Last week, we closed live event registration for the 2016 Get in Rhythm. Stay in Rhythm.™ Atrial Fibrillation Patient Conference in order to give our host hotel a final headcount, so they can best prepare for us. However, if you live with Afib, we believe the information at this conference is too important for you to miss. That’s why we've decided to offer a special livestream option, which means you can attend the conference virtually from the comfort of your own home! When you go to the link above and register for the Livestream version of the event, you'll have access to the live video feed of the entire event. That's 16 full hours of content throughout the weekend of September 16-18. After the event, you'll receive access to the uncut livestream replay, as soon as it’s available. We'll replace that replay with edited video footage, to which you'll also have access. During the event, you'll be able to hear our experts' answers to attendees' questions, and you may have the chance to ask your own questions, too. If you couldn't attend the Get in Rhythm. Stay in Rhythm.™ Atrial Fibrillation Patient Conference live, then the livestream option truly is the next best thing. You'll still get the life-changing information, the up-to-the-minute research, and the new knowledge to discuss with your healthcare team … and you don't even have to leave your home to do it! 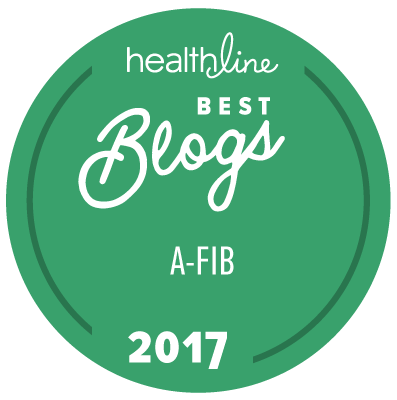 We're offering this option because we know it has the potential to change the way you live with Afib, and we don't want you to miss it.